That is the genesis of story driven marketing. The ability to spark a person’s imagination that life, their life, could be different than it is now. Their life could be better. Now you have the opportunity to have them join you on this journey. 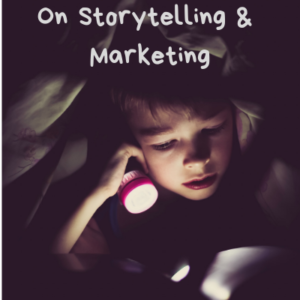 Story driven marketing content is not about tricks, it is about nature. If you are able to tap into the natural story already going on in a person’s mind, you have the best chance of gaining trust. That trust, often in time, leads to a buying decision. 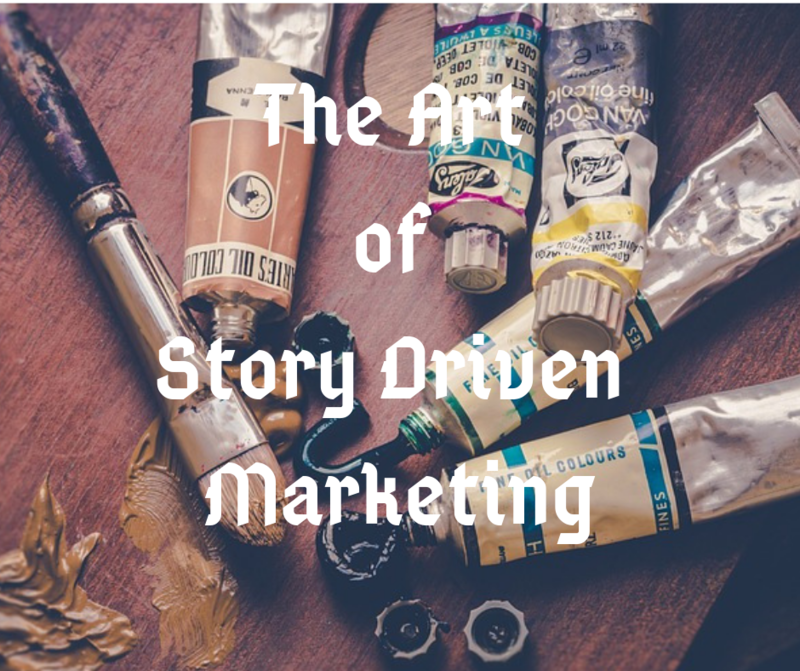 What are the three things you can do to turn any content or marketing piece into a Story Driven marketing campaign? I am going to list those out for you here, plus give you some ideas on what your business will look like after you have implemented these. This is where I see a lot of businesses, coaches, and consultants really fail. 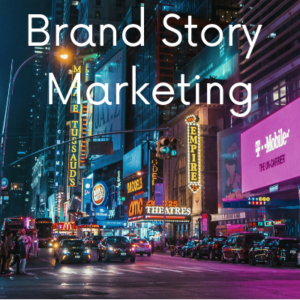 When they hear ‘story driven marketing’ they immediately believe it is about their brand’s story. To be story driven is to enter into the story of your market or single prospect. What drives them to want to do any transaction with your brand is based on if your story is in align with who they want to be. I say who they want to be, because that is the real journey you are going to take them on. Instead of telling people about how great you are, show them how great their lives can be when they choose to work with you. This is not done by a mission statement or “About Us” link on your blog. It is the work of seeing through the eyes of the people you wish to serve. You understand their story and then align your solution to the ultimate goal they wish to achieve. As an example, as of this writing, the movie Avatar, is the highest revenue grossing film in history. The entire premise of this movie is the character, Sully, entering into the body of one of the natives on another planet. His job was to use the avatar body to convince the alien natives to let the foreign company he worked for to mine their planet of natural resources. Resources that the natives considered sacred, but the foreigners saw as commodities. Commodities that would make them rich. As the movie develops, Sully, in his new body, starts to see the world as a native. He transitions to their view point. 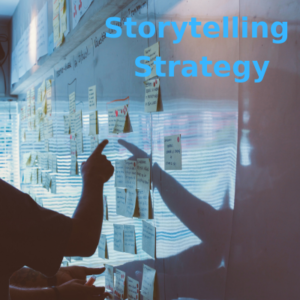 If you are going to be effective at story driven marketing, you are going to have to forgo what you see as important. The only real story that matters is the ones your market sees. It is easier if you are intimately aware of that market. Meaning, you have already been through the stages they desire to get to. 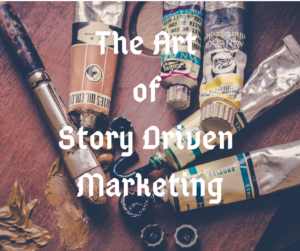 That leads me to the second point you need to do for story driven marketing. Like the character, Sully in Avatar, he helped guide the natives on how to fight back. He was able to do this because he knew the tactics, weapons, and strategies of the foreign corporations. He wanted to help, because he saw that the foreigners were never going to stop looking to strip the natives land. A people and land he had now learned to love. Combined with his new knowledge of the natives, he was able to lead the resistance. After you enter in the story through your market’s perspective, you need to show you are there to be a trusted guide. Again, this is where a lot of ‘story marketers’ fail. You are never to be the hero, that is the role of your client. You are there to be the guide who gets them to final victory. That victory could be over alcoholism. A failing business. A marriage on the brink of divorce. Or for a once healthy person who has become obese over the years. What matters to anyone in these situations is the story they tell themselves. Then if you can be the person to guide them to the life they seek on the other side. That brings me to our final point. Without drama, tension, suspense, there is no true story after all. Another mistake many marketers make is being afraid to force someone to chose. Chose to join you or stay on the current path they are going. People chose to stay on the path they are going, because they do not care about the consequences or you have not made the case for the negative consequences. If you do not feel it is ultimately your job to rescue people from the negatives of their current journey, you really have no real compelling story. 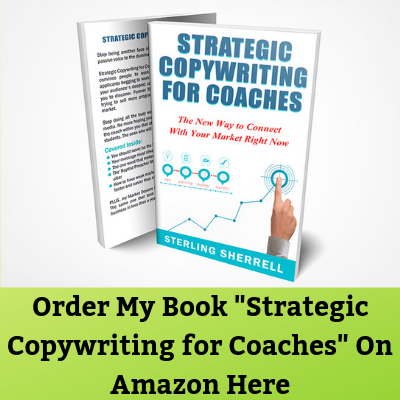 You are not doing story driven marketing with no call to change. You may offer a brief distraction or at best cheap entertainment. Your story must spell out what life looks like if they do not let you guide them as well as what it will look like with you as a guide. You do not have to try to coerce anyone or trick anyone to decide from there. If you do that (and I see many who use scare tactics to do so), you are going to have people join you who really do not want your help. They only want to feel better in the moment. Like buying your product or service is a quick fix to a pain. These people are not looking for a guide though, they are looking for a fix. Like a junky, wanting to get the next high to numb the pain. We are not called to be pushers of these types of fixes. Resist the temptation to become a pusher. It may be easier, quicker, and get you fast money, but it won’t last. The call to action, to decide on letting you be the guide, creates tension. Will she or won’t she let you? Is it safe? Will this time be different? They are all unknowns when you look at hem. But that is the essence of a great story. The choice of entering into a new world. A world of possibility, but also of danger. A world you have shown to understand, been through, and are looking for courageous people you can guide. What is the story my market believes? How can I show myself or my product, to be their guide? What are the consequences, positive and negative, if they chose or don’t chose me? I am excited for you. By answering those three questions, you are putting yourself in a position of tension. Because after you answer those, you must now make a decision yourself. Will you let people live with you offering to be their guide? If you have sought to read this article, I bet you are going to answer no way. Welcome to the adventure. Welcome to imagination. 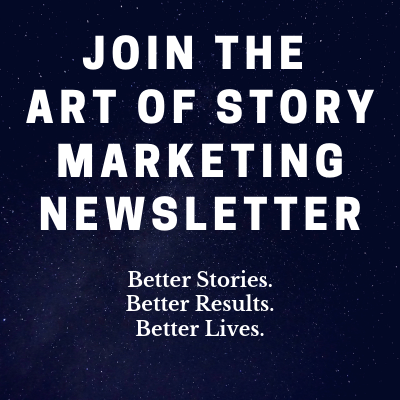 Welcome to story driven marketing.